Fall temperatures can drop pretty drastically and have us scrambling inside to get out of the cold. But many of us long for ways to enjoy the outdoors, even as the temperatures drop. With an outdoor fireplace, you can. Outdoor fireplaces are great for expanding your entertainment space by taking the party outdoors. Plus, they bring warmth to those fall nights and allow you to spend more time outdoors without shivering. 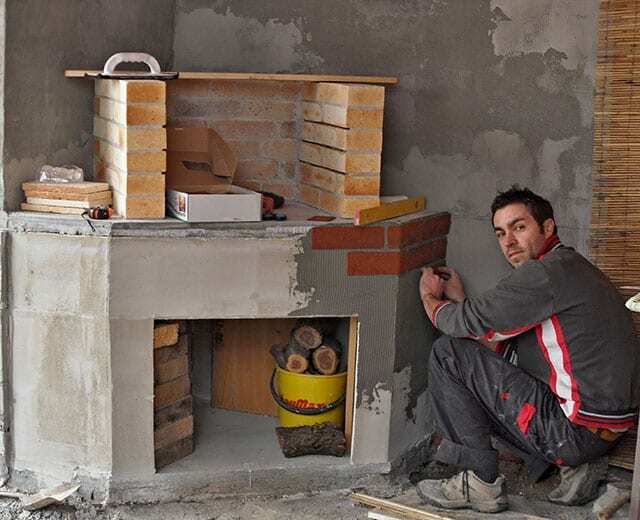 Enjoy your outdoor living space longer – have Jiminy Chimney’s team of masonry experts and Chimney Safety Institute of America (CSIA)-certified professionals install a new outdoor fireplace on your property! Majestic – Majestic has such a wide variety of styles and sizes, there’s truly an outdoor option for every space and taste. From see-thru direct vent gas options with massive viewing areas to natural stone wood-burning units, Majestic has it all. Heatilator – Heatilator has an assortment of styles and sizes as well, available in both gas and wood options. Whether you prefer traditional-looking brick, stone, or a see-thru option with glowing embers, Heatilator has something for you to love. Napoleon – If you’re looking for a clean, modern-looking outdoor fireplace, Napoleon is where it’s at. From wide views and see-thru options to traditional sizes, and unique torch options, Napoleon has it. 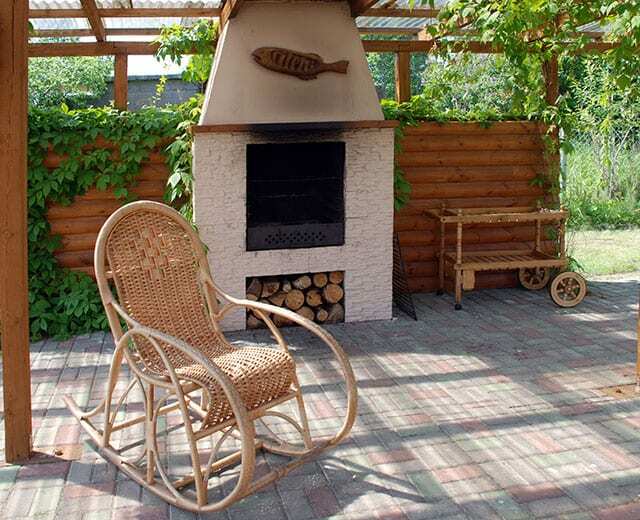 White Mountain Hearth – White Mountain Hearth’s outdoor fireplace options are truly breathtaking. No matter the style or size of your space, we’re confident you’ll find a White Mountain Hearth outdoor fireplace to fall in love with. Ready to start shopping for an outdoor fireplace for your patio, all-season room, or backyard paradise? Let us help! We can answer your questions, evaluate your space and heating needs, and help you with your decision. All of the companies we sell and install offer exceptional product warranties, so you can expect to enjoy your outdoor fireplace for years to come. Call us today at 847-893-0063 to speak with someone about your outdoor heating needs. Prefer to reach out to us online? Fill out our online appointment request form! Ask us about all the benefits of a lock-top damper. We have years of experience with their sales and installation and can answer all your questions.